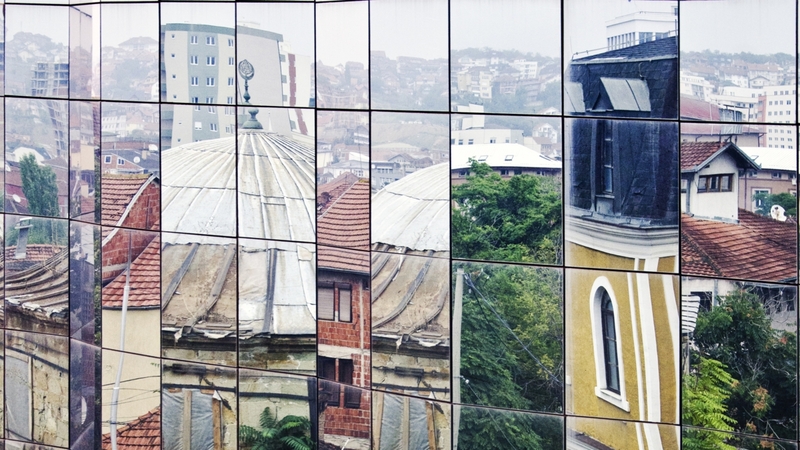 Mirror reflection of a mosque in Pristina, Kosovo. This working paper takes a critical look at the written coverage of issues of jihadi radicalization and foreign fighters from Kosovo, identifying key themes, assumptions, and areas where the press seems to have missed certain points. The paper is based on an extensive survey of written English-language media coverage retrieved online, secondary NGO/grey and academic literature, as well as some 50 original interviews with experts, frontline practitioners, policymakers and donors conducted in Prishtina, Brussels, or via Skype. While not attempting to provide a full picture, the paper identifies points on which the international media coverage seems to have got matters wrong, and areas where the evidence calls for greater nuancing. These include the number of foreign fighters, the reasons for radicalization and why people have travelled to Syria, as well as the government’s response.